Dubai: Dubai Investments PJSC [DFM: DIC], the leading diversified investment company listed on the Dubai Financial Market, is targeting robust growth in the real estate and property sector with a number of new projects in planning and execution stages across the UAE and other parts of the world. These include the AED 3 billion Mirdif Hills project in Mirdif, Dubai by Dubai Investments Real Estate Company [DIRC]; Green Community West Phase 3 project in Dubai Investments Park [DIP] by Properties Investment; AED 400 million Fujairah Business Centre by Al Taif Investment; the mixed-use Riyadh Investments Park in Saudi Arabia and residential projects in the UAE by DIRC. Dubai Investments subsidiaries in real estate and property management sector constitute 62% of its total asset mix, worth AED 9.7 billion. The company’s new real estate projects are consistent with its strategy to build on its leadership in the sector and spread its domain expertise in new geographies. As part of this, Dubai Investments is also targeting mega, mixed-use industrial and business parks in Africa, which reinforces its commitment to the sector and the growth potential on offer in strategic markets. Dubai Investments will also continue its strong thrust in developing its real estate portfolio and allied businesses in the UAE over the next two to three years to take advantage of renewed market interest and surging investor confidence, particularly in the wake of massive infrastructure projects to be announced for Expo 2020, he said. One of the significant projects launched by Dubai Investments is Mirdif Hills, the only freehold development in Mirdif now. 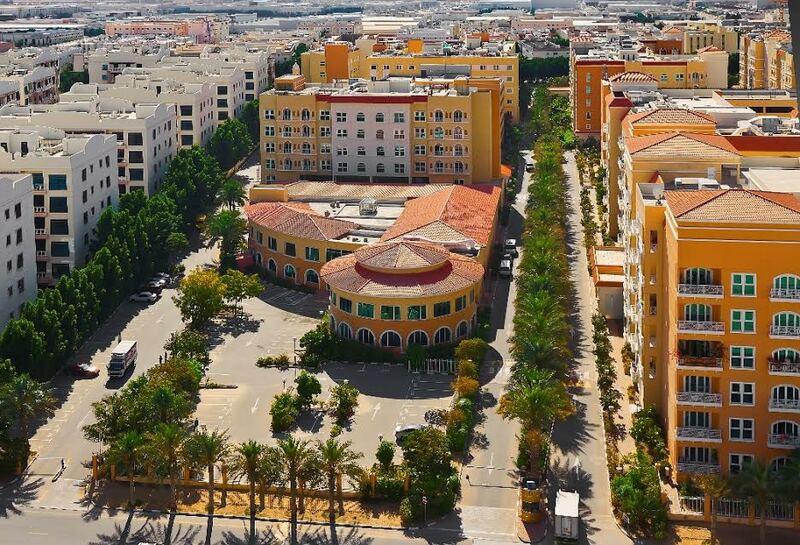 A mixed-use residential, commercial and retail development by DIRC, Mirdif Hills is spread across 4 million square feet. The project comprises 1,300 apartments, a four-star hotel with 120 rooms and 128 serviced apartments, hospital, retail outlets and community recreation. Green Community West Phase 3 is currently being developed by Properties Investment LLC – owned 70% by Dubai Investments and 30% by Union Properties & engaged in investments and development of real estate projects. It covers an area of 1.48 million square feet and comprises 210 Townhouses, including 122 four-bedroom and 88 three-bedroom townhouses, 16 duplex apartments, three retail shops and two recreational centres. A total of 76 townhouses of Green Community West Phase 3 are expected to be completed and handed over in the first quarter of 2017, 96 townhouses are expected to be completed in the second quarter of 2017 and 38 townhouses, 16 apartments and retail units are likely to be completed in the third quarter of 2017. The AED 400 million Fujairah Business Centre by Dubai Investments joint venture Al Taif Investment will be developed soon. It consists of two towers spread across a total built-up area of 80,058 square metres and includes a 19-level office tower and a hotel with 228 rooms and apartments. The tower includes a mall and retail units spread across 15,616 square metres. The Riyadh Investments Park, currently under development in the Saudi capital, spreads across approximately 11 million square metres and encompasses warehouses, commercial showrooms, labour amenities, offices and other logistics facilities similar to DIP. Dubai Investments has created a joint venture company in KSA to manage and operate the mega, mixed-use project. DIRC is also developing some residential buildings across the UAE, which include a project in Al Nahda, Dubai currently under construction, while three others are in design phase – in Al Barsha and Jumeirah Village Circle in Dubai and one in Abu Dhabi. Dubai Investments has also formed a new entity Palisades Development Company, to lease, buy and sell land in The Palisades, spread across nearly 20 million square feet within DIP. The project comprises 20 buildings, with 1,450 apartments, 36 townhouses and eight villas. Infrastructure in the project will be built at a cost of AED 600 million. Over 1,150 residential units, which include townhouses, duplex, three, two and single-bedroom & studio apartments, are also currently under construction within DIP. The multi-phased projects by individual real estate developers and investors are expected to be completed by 2018 with DIP developing the requisite infrastructure.